GLAAD's Vice President of Programs Zeke Stokes sits down with GameDaily to talk about the new award category, their games industry advisory council, and pushing for greater industry inclusion. 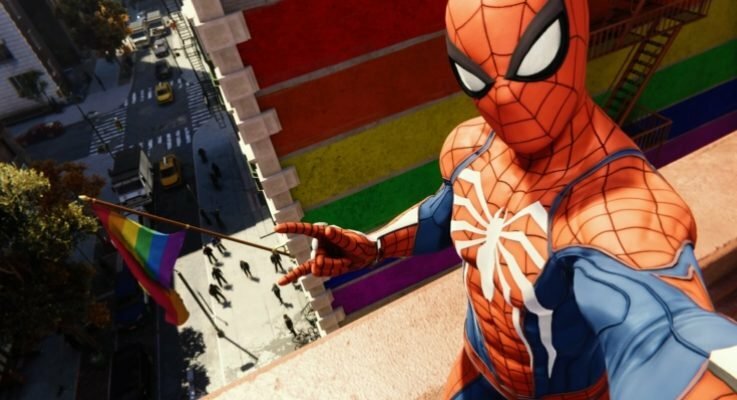 For Zeke Stokes, vice president of programs at the LGBTQ media advocacy group GLAAD, seeing the pride flag waving above the streets in Marvel’s Spider-Man stood out as a perfect example of casual, yet critical representation of LGBTQ players in video games. With more and more people finding their main source of entertainment from video games, it only made sense for Stokes and GLAAD as a whole to adopt games as part of their advocacy, which now takes the form of two different initiatives. 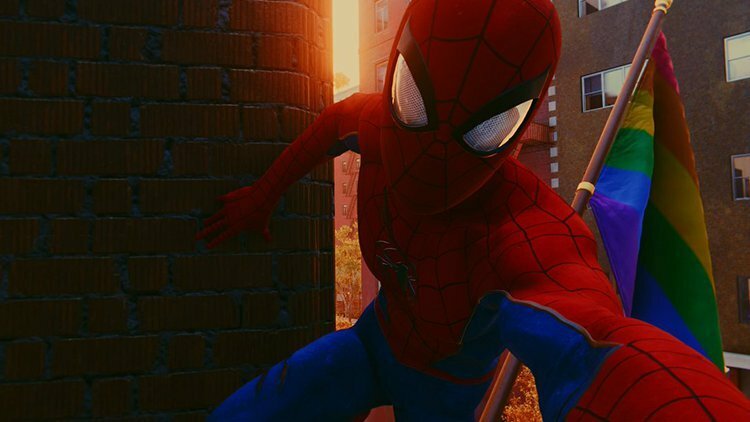 On Wednesday, GLAAD announced that it is including an “Outstanding Video Game Award” as part of their 30th Annual GLAAD Media Awards. GLAAD has also recently formed a video game advisory council that will work with games industry leaders to create a more LGBTQ-inclusive community and corporate culture. 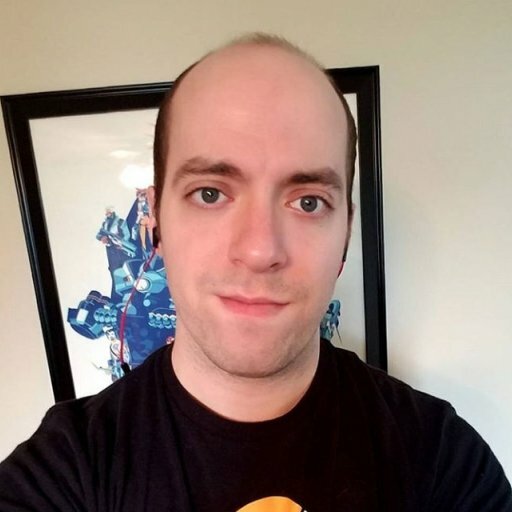 “I think it just became really clear that if we were truly going to be a media advocacy organization making sure there were accurate and fair representations of LGBTQ people in the space, that video gaming was an obvious place that we could not leave out of the equation,” Stokes said in an interview with GameDaily. GLAAD, founded in 1985, has worked throughout the years to advocate for greater gay and lesbian representation in popular media like film, television, and journalistic reporting. In 2013, it made a broader commitment to include bisexual and transgender people in that advocacy. GLAAD has previously awarded Dragon Age: Inquisition with a “Special Recognition Award” in 2015 for its depiction of LGBTQ characters, but the organization had no formal category for video games. The organization has also recently worked with Electronic Arts on The Sims to introduce a greater amount of gender diversity options in the game. The new award will be given to games that “includes authentic and impactful LGBTQ characters or storylines,” a press release said, and will be judged on how effectively the inclusive content is woven into gameplay, focusing particularly on player agency. Stokes also added that he believes it’s important for players who may not have been knowingly exposed to any LGBTQ people that they have the chance to see that community represented as normal, everyday people in their favorite game worlds. Stokes is quick to say that one of the points he makes most frequently during speaking events is that LGBTQ inclusion doesn’t necessarily mean a show-stopping spotlight, but more of a reinforcement that the community is a normal part of everyday life. While the industry has made some significant leaps in terms of representing LGBTQ characters in the games it produces, it’s worth noting that some blind spots exist when it comes to the industry reaching out to quantify what its own community looks like. The Entertainment Software Association conducts an annual “Essential Facts About the Computer and Video Game Industry” survey, and devotes a few pages to illustrate the age and gender breakdowns of the “average gamer,” but its 2018 edition does not present any information on the sexual orientation of that same community. GameDaily asked GLAAD in a follow-up email late Thursday if the council included any developers from the indie game community, a sector of the industry that has produced scores of LGBTQ representation largely thanks to its greater creative freedom. GLAAD did not immediately respond to request for comment, but we will update should we receive a response. Stokes says that GLAAD didn’t want to enter the gaming space without the council’s collective years of industry experience. Of course, movement’s like GLAAD’s haven’t been without pushback. The lingering presence of toxic, anti-inclusive movements like Gamergate still echo through the offices of every game developer, big or small. Aside from a regular deluge of toxicity on social media, minorities in the video game industry still have to contend with a workplace that isn’t as inclusive or understanding as it should be. One recent case involved a writer on Guild Wars 2 getting fired for pushing back against what she and many others regarded as toxic, condescending language on Twitter. Stokes believes these kinds of issues, not just for the LGBTQ community, can be combatted by the obvious: Making these workplaces more inclusive, and giving LGBTQ people a platform at public-facing events like E3 and DICE in order to engender more familiarity and acceptance. Nominees for the 30th annual GLAAD Media Awards will be announced in January 2019. The organization is currently taking nominations until November 23, 2018.